A tiger discovered in what was thought to be an abandoned Houston home was rescued by the city's animal shelter, after an intruder called authorities. 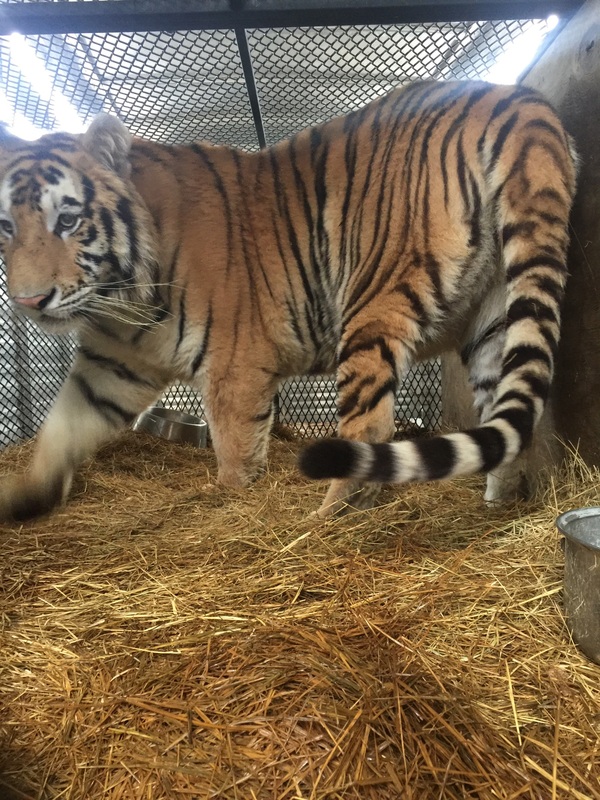 The Cleveland Amory Black Beauty Ranch, a sanctuary located about 200 miles north of Houston, announced it was welcoming the tiger, according to Lara Cottingham, spokeswoman for Houston's Administration and Regulatory Affairs Department, which oversees the city's animal shelter that had been caring for the animal. If you're still caught up on the would-be-smoker-stumbling-across-an-actual-tiger-part, let's back up. Fortunately for the woman, the tiger was locked inside a 4-feet-by-8-feet cage within the garage. She called 311, the city's nonemergency line, and animal enforcement officers showed up alongside Houston police, who obtained a warrant enabling them to reach the tiger. 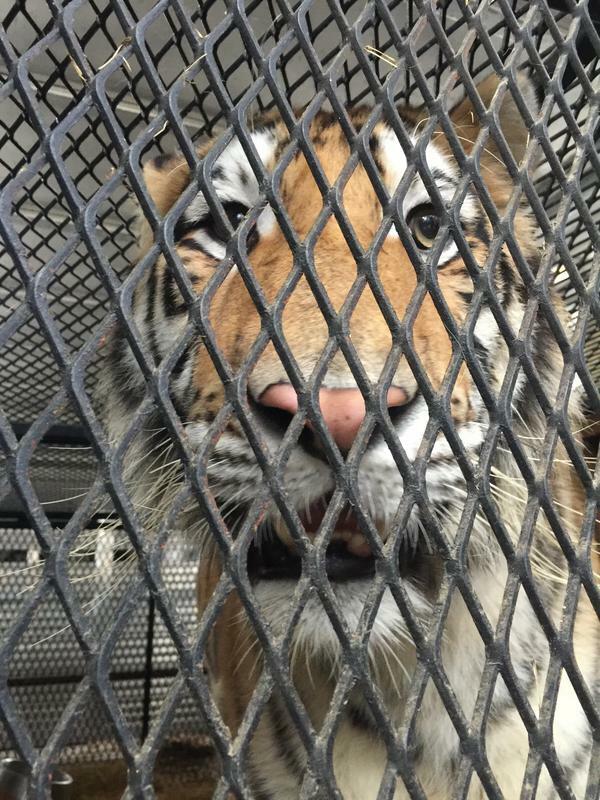 The tiger was tranquilized before being carted in a horse trailer to the Houston shelter. Despite its tight quarters the tiger was apparently healthy and seemed to have been fed regularly. Officials just don't know by whom. Houston police have launched a criminal probe to find the tiger's still-unidentified owner. "It is categorically not legal to own a tiger within the Houston city limits," Smith said. Animal cruelty charges could be involved. "We are working to determine who owns the tiger and who owns the property because that may or may not be the same person." The woman is not in trouble, Smith added. And while coming across tigers — except at the zoo — is exceedingly rare, Cottingham said, another pet tiger was reported in the Houston area a couple of years ago. "People think it's cool to have an exotic pet," Cottingham said, conceding that a baby tiger looks adorably harmless, "but it is now very large and hungry and expensive to keep and it needs a lot of space and it can become dangerous." "We are really glad it worked out as quickly as it did," Cottingham said.